We offer fabric covered display boards that are configured as either folding kits or panel and pole kits. 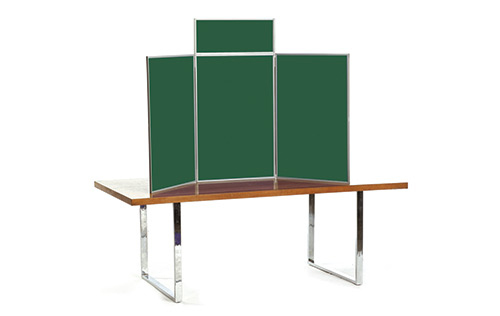 The folding kits are available as floor standing or desktop options, and the panel and pole kits are available in standard or elevated options. All configurations are offered in a range of standard or custom loop nylon fabric finishes. We can also design and print posters etc to be affixed to the boards. Please phone 0800 999 KWIK and ask for further details to be emailed to you. FAST – We can supply panel system display boards within 2-3 days.